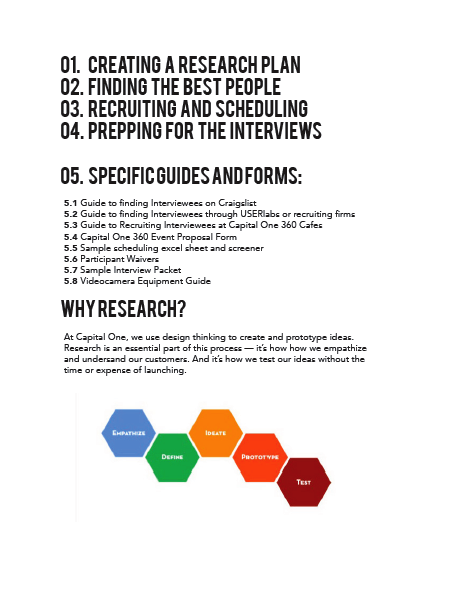 For Capital One Labs, the rogue innovation arm of Capital One, I helped build a practice of design thinking throughout the organization. Since 2012, Capital One has been building success stories of design thinking at work across the company. Through these success stories, the Labs team has proven that design thinking is the innovation method for Capital One, the demand from pioneers across the company to learn, do, and teach design thinking is overwhelming. I helped design the education experience to lead Capital One through the journey of design thinking, including bootcamps, design jams, and design fellowship projects. 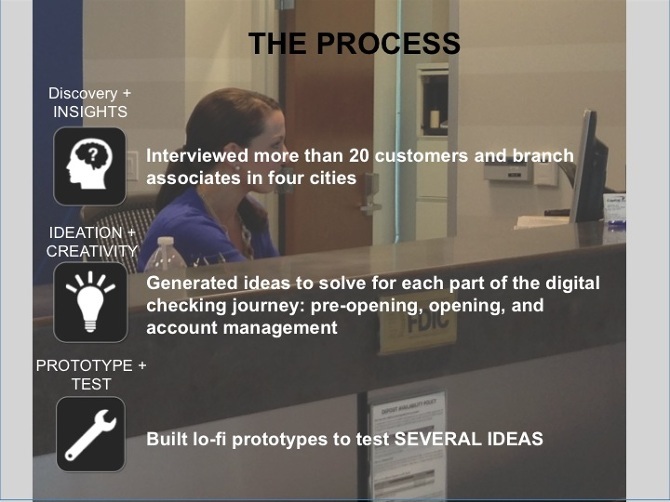 I worked with and influenced leaders throughout Capital One with the explicit objective of accelerating design thinking methods, including ethnographic research, synthesis, ideation, rapid prototyping, testing, and iteration. I fostered the mindsets of collaboration, a bias towards action, and experimentation. -Creating and testing new education experiences including curriculum, methods, and activities for empathy research and interview techniques. 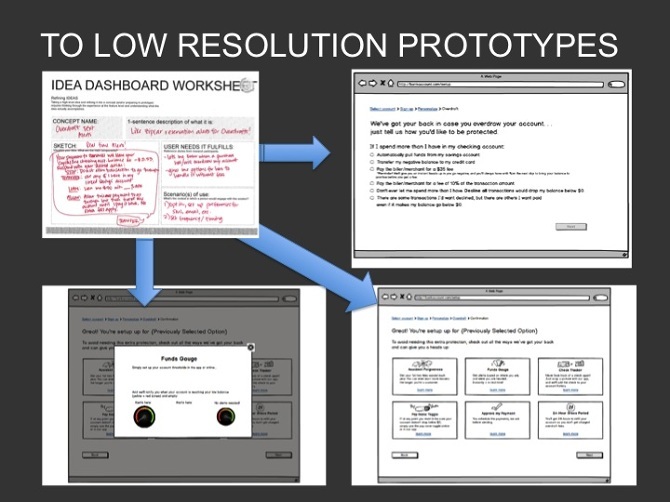 -Organizing and teaching design thinking sessions to company executives. -Coaching design thinking projects -­‐ including coaching, brainstorming flow and agenda, and creating design assets to facilitate team participation, collaboration, and learning. 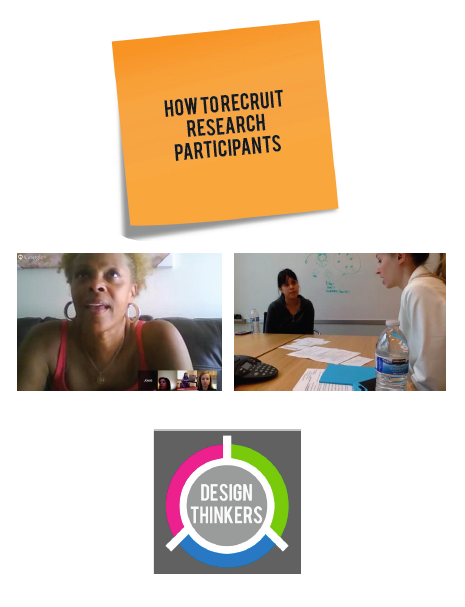 -Directing and producing design thinking video shorts. -Developing and deploying physical and digital tools to enable adoption of design thinking and lean startup practices by a wider Capital One audience.